There are still six places up for grabs in the Top 16 and with just two rounds of the regular season left, we are sure to have some exciting action to look forward to in the next two weeks. Friday night managed to offer up some great matches and exciting developments, making it a big night for basketball fans across Europe. We have a right tussle in Group A and so far, only one team has qualified for the Top 16. This means that there will be some exciting action and drama to come in the last two rounds of the regular season. Things are getting rather heated in Group A and we now have three teams on a 4-4 record sharing second place after this result. It was a game that the hosts had to win but they didn’t manage to claim the head-to-head lead against Khimki, who had a huge win in Moscow back in Round 3. Both teams had their dominant spells but Quincy Miller had a big impact in the final quarter, ensuring the hosts were the victors. Quincy Miller grabbed 25 points in the game, a Euroleague career best for the player but he was bettered by Maik Zirbes who grabbed 27 points, which was also a Euroleague best for the player. Marcus Williams, in his debut for the season grabbed 13 points and Stefan Jovic managed to provide 13 points and 6 assists. Alexey Shved offered up a career-high of 28 points for Khimki and Petter Koponen offered up 16 points while Zoran Dragic offered 14 points and 8 rebounds. The German side were on top form in grabbing a crucial win that places them in a tie for second place in Group C with a 4-4 record. The hosts drop to a 3-5 record and are now in last place in the group. 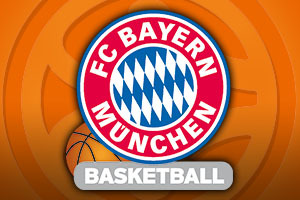 The Germans were boosted by John Bryant grabbing 17 points while Deon Thompson provided 14 points and 8 rebounds. Nihad Djedovic and KC Rivers both grabbed 10 while Alex Renfroe provided 8 points and 5 rebounds and 7 assists while Dusko Savanovic provided 7 points and 10 rebounds. For the hosts, Jeremy Leloup provided 11 points while Vladimir Golubovic and Matt Howard offered up 10 points, although Rodrigue Beaubois provided 0 points for the team in the first time that Strasbourg have lost at home this campaign. There were no games in Group B on Friday night but there were two games in Group C but the two teams who had more reason to play to win managed to prevail. This match indicated the fact that a team with more to play can often be the hungrier, despite being the supposed weaker team. The away team grabbed a win that moves them on to a 2-6 record. This win keeps the Polish side’s slim chances of a Top 16 place alive while Lokomotiv are already qualified and weren’t at their best as they drop to a 6-2 record in Group C.
The winners had three players on 11 points each, Dejan Borovnjak, Dee Bost and Mateusz Ponitka and Ponitka managed to grab 11 rebounds so he was celebrating a double-double in this game. The winners were also boosted by 10 points from Prmemyslaw Zamojski. The hosts were powered by 11 points from Chris Singleton and Victor Claver offered up 10 points. Like the other game in Group C on Friday night, the team that really needed the victory managed to grab the victory. 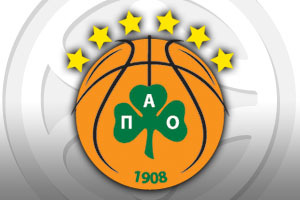 The home win sees Panathinaikos move on to a 4-4 record and they are still very much in with a chance of qualifying for the Top 16. The Greeks had lost their last 9 games against the Catalan giants but given that Barcelona are already qualified for the Top 16, they’ll probably bounce back okay after this defeat. 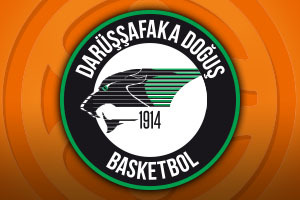 Miroslav Raduljica provided a career high of 25 points and Dimitris Diamantidis offered his best performance of the season with 20 points. Other key players for the hosts included Nick Calathes with 10 assists and James Gist with 10 points. Barcelona were led by Alex Abrines, who grabbed 21 points while Stratos Perperoglou provided 13 points and there was a double-double from Ante Tomic with 11 points and 11 rebounds. There was just the one game in group D on Friday but it leaves the winners on the brink of a Top 16 place. This win sees the Turkish side one win away from qualifying for the Top 16. This was a tight game until the fourth quarter but a 14-0 scoring run, led by Milko Bjelica who grabbed 9 of these points, saw the hosts take control and move to a 4-4 record. This sees them sit in fourth spot, the all-important final qualification spot in Group D while the away team fell to a 6-2 record and are in second place. Reggie Redding was in fine form with 19 points and Bjelica grabbed 18 points in total. For the away team, Nemanha Nedovic offered up 13 points, Edwin Jackson provided 11 points and Will Thomas managed to provide 10 points and 7 rebounds in the loss.